Since Hurricane Harvey made landfall near Rockport, Texas, on August 25, the devastating storm has left several hundred thousand without power and several thousand displaced to shelters. Many areas of coastal Texas will remain under storm surge and flood warnings for the next three to four days. Right now, attention is rightly focused on providing immediate relief to survivors – temporary shelter, food, water, and other basic needs. However the Center for Disaster Philanthropy team knows from past disasters, especially through our experiences with hurricanes and floods, that full recovery will take many years. 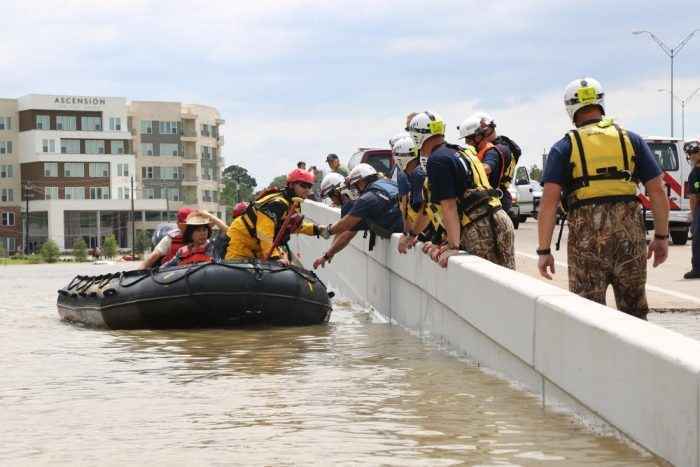 In response to the storm, and projected significant flooding that will hit Texas and parts of Louisiana, the CDP Hurricane Harvey Recovery Fund will drive support for medium- and long-term recovery needs that will arise in the weeks and months to come. We expect the long-term needs to be rebuilding homes, businesses, infrastructure, meeting the needs of young children, supporting mental health needs, and boosting damaged agricultural sectors. Your gift will help affected communities face and overcome the challenges that arise long after the storm has past.